Summary: Cover-ups. We see them employed by governments, businesses, and individuals in order to avoid the consequences of actions illegal, immoral, and sinful. They may work for a time but eventually, the truth usually becomes known. Of course, if a cover-up is maintained long enough, statutes of limitations, changes in attitudes, or more pressing matters often diminish or completely eliminate earthly consequences. However, the same doesn’t hold true for the eternal consequences of sin. As David discovered, we cannot out-wait God’s judgment. Sin doesn’t become less sinful over time and God doesn’t forget or excuse our wrongdoings. Our attempts at cover-ups are no more successful than those of David with Bathsheba, Adam and Eve in the garden, or any others throughout history. Yet there is one absolutely foolproof and complete cover-up: God covers us in the blood of Jesus, forgiving and forgetting all our sins. 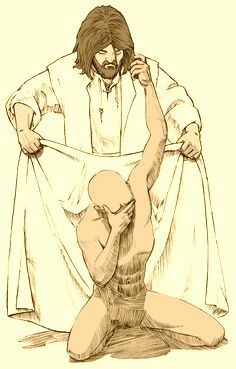 Washed in the waters of Baptism and clothed in Christ’s righteousness, He now sees nothing in us but the absolute righteousness of His beloved Son. 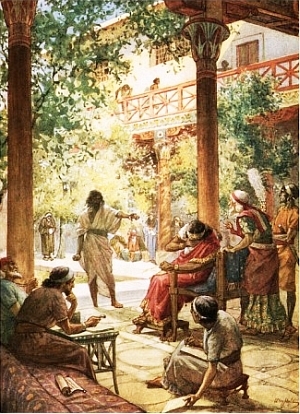 With David, we celebrate with “shouts of deliverance.” Along with the forgiven woman in today’s Gospel, we discover that as our sins “which are many, are forgiven” and now we are moved to much love — toward God who forgives and toward other people, as we both forgive and are forgiven by them. Text: Blessed is the one whose transgression is forgiven, whose sin is covered. Blessed is the man against whom the Lord counts no iniquity, and in whose spirit there is no deceit. Audio: Click to hear the MP3 of Cover-Up. Also: Here are related sermons on today’s Old Testament and Gospel readings.